While we're patiently waiting for more reviews to appear, here is a notice about the upcoming Hingetown Hoedown Festival. Sounds pretty cool! Grab your boots, friends and family and get ready to stomp at the first annual Hingetown Hoedown! Cleveland’s first ever folk and bluegrass music festival will be held October 3rd in Ohio City’s Hingetown neighborhood at the intersection of West 29th Street and Detroit Ave.. This event fills a void in Cleveland’s music scene, making it more diverse than ever, and will be complemented by food trucks, vendors, beer and family-friendly activities. Admission is free and open to the public.  The folk rock trio Shivering Timbers visiting from their hometown of Akron, where they were voted ‘Best Musician/Band’ by the Akron Empire in 2014.  Local newgrass band Honeybucket , fresh off their second album release (Stompin’ Grounds) will share with the crowd their modern twist on traditional bluegrass music.  Hailing from Zanesville, Ohio, The Wayfarers are known for their upbeat performances and are sure to play a high-energy set of traditional American roots music.  The Gage Brothers straight from Akron, will form a well-rounded mix with their blues inspired folk sound. In addition to the Hoedown music, there will also be an array of local vendors, food trucks, and craft beer from Great Lakes Brewery. The Hingetown Hoedown also strives to be as environmentally friendly as possible, using sustainable products and practices. The Hoedown is a family friendly event and welcomes all ages. With this in mind there will be children’s activities such as face painting, sidewalk chalk, and henna tattoos. Also, The Music Settlement’s Bob Stop is generously providing instruments for children to try out, hoping to spark an interest in music and the community. The day long festival runs from 1:00 PM to 10:00 PM on Saturday, October 3. Hingetown, a division of Ohio City, and one of Cleveland’s coolest up-and-coming neighborhoods is located at the intersection of West 29th Street between Detroit and Clinton Avenues. To help make this first-year festival a success, and to ensure that it continues future years, donations can be made through Hingetown Hoedown’s Kickstarter campaign. 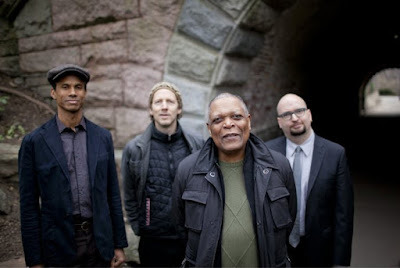 Billy Hart Quartet. One is the Other. I don’t know if his students at Oberlin College call him Billy or Professor Hart, but casual or not, they’d better give him some serious respect. A master of post-bop, but comfortable with nearly any style of jazz, Hart has worked with Jimmy Smith, Herbie Hancock, Wes Montgomery, and Stan Getz to name a few, and been putting out releases of his own since the late 1970s. He has led this particular group since around 2005, the group changing its name to make him the honorary leader, and it’s clear that they are extremely comfortable together. Complex harmonies, intricate rhythms, and remarkable playing are the order of the day. Recorded in 2013, it is the second release of the group on ECM, and fits nicely within the overall vibe of the label--contemporary, deep, cerebral, singular in vision, and sometimes out on the edge of jazz. First of all, this is a highly cooperative venture. 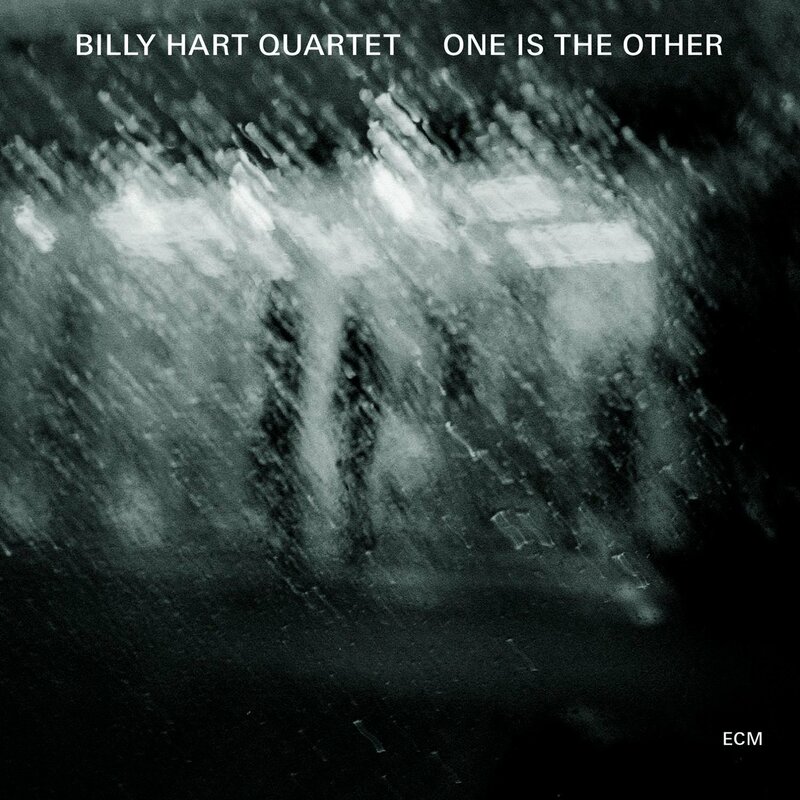 Hart may be the leader, but three of the four members contributed compositions, and Hart never hogs the spotlight. If anything, he gives a great deal of time to Mark Turner and Ethan Iverson, who, at first listen seem to dominate the recording. However, upon closer inspection, it’s clear that Hart has his finger on everything from the first track. He and bassist Ben Street are like the bedrock on the tree-covered mountain. You might spend a great deal of time looking at the pretty trees, but there’s a reason the landscape is shaped the way it is. Of course, Turner’s tenor sax and Iverson’s piano are out front with a combination of sweet and tart that provides both a yearning quality and a warm, inviting sound. The first two songs on the album show the strengths of all of the musicians. “Lennie Groove” showcases Iverson’s piano, then Turner’s gorgeous sax, but Street holds the rhythm down while Hart adds to the melody and makes the tune an amazing workout. Hart’s contributions become more evident as time goes on, with “Theule’s Redemption,” where he solos extensively and maintains a high presence throughout with an insistent rhythm aided by Street and Iverson. “Amethyst” and “Yard” continue to expose more of this work, along with the wonderful interplay among the musicians. One of the best aspects of this album is the ability to hear everything--every note, every beat, crystal clear. I attributed this to both the fine ECM recording sound but also to the spacious playing. There’s no mud here. My favorite tune may be “Sonnet for Stevie,” written by Turner, a lovely piece where you can hear everyone contribute out front, and it brings some blues along with it. “Big Tree” reminds me of the old Gillespie tune, “Salt Peanuts,” with its jumpy melody and rhythm changes. Hart is strong throughout, and the others get to go a little wild. My only disappointment is “Some Enchanted Evening,” the Rodgers and Hammerstein song, which I have frankly never cared for in any manifestation. Others may find it a charming piece. The rest of the album displays a masterful, quiet intensity that is delightful in so many ways, and an easy place to get lost in. I look forward to hearing more from these fine gentlemen, as well as checking into more of their back catalog. Personnel: Mark Turner (tenor saxophone), Ethan Iverson (piano), Ben Street (double bass), Billy Hart (drums). Tracks: Lennie Groove, Maraschino, Teule’s Redemption, Amethyst, Yard, Sonnet for Stevie, Some Enchanted Evening, Big Trees.